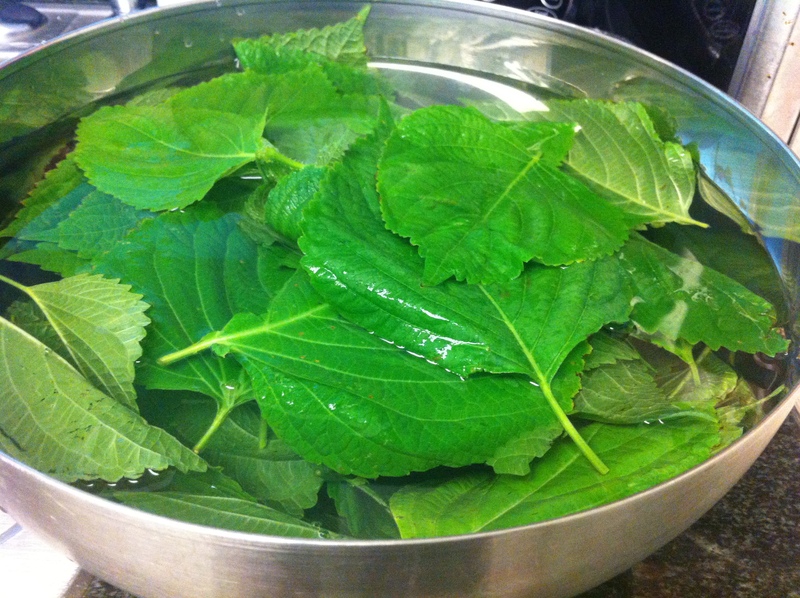 Summer time is the season of kketyip (깻잎), which are perilla leaves. Now that the summer season is almost over, what do you do to if you want to continue to enjoy the taste of kketyip? 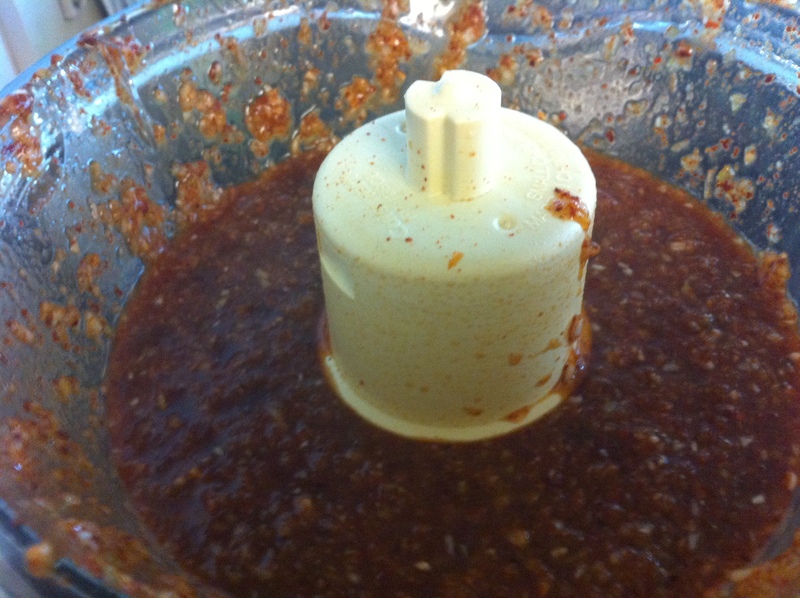 Make kimchi out of it! This kimchi is surprisingly simple to make and lasts weeks if not months in the refrigerator. 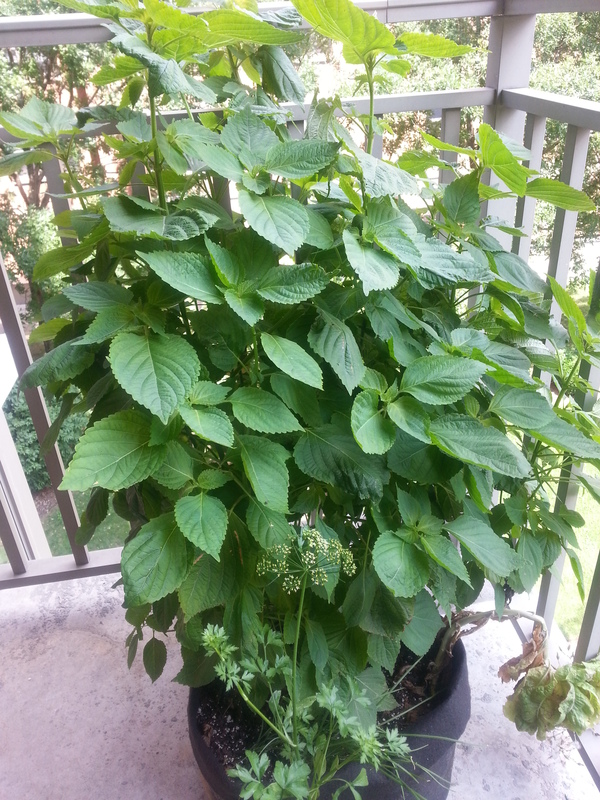 Frustrated by finding good quality perilla leaves, I actually planted my own seeds in the spring and they are now almost as tall as I am… well, I’m obviously not that tall. In any case, perilla plants are very easy to grow but if you don’t want to bother, it is one of the most common and affordable vegetables in Korean supermarkets, so don’t worry. 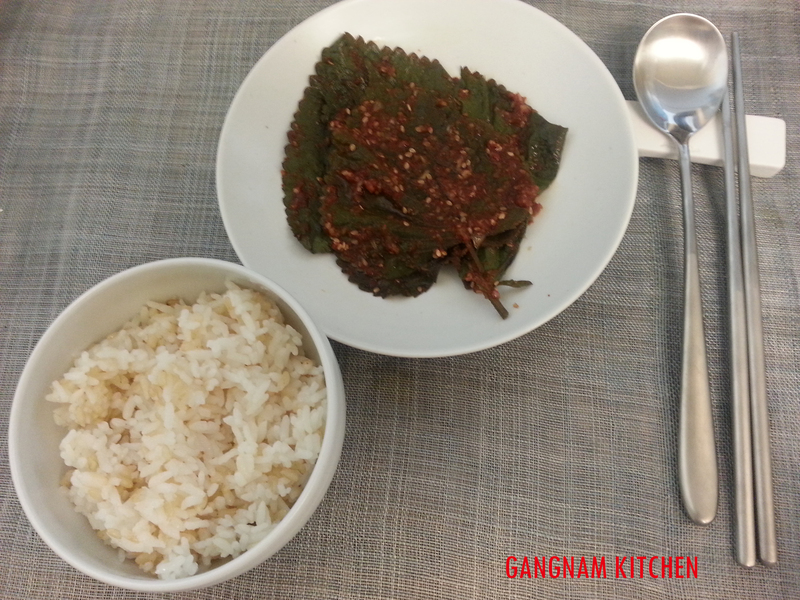 Clean the kkeptyip (깻잎, perilla leaves) and dry them thoroughly. Combine the rest of the ingredients if you hand diced them. 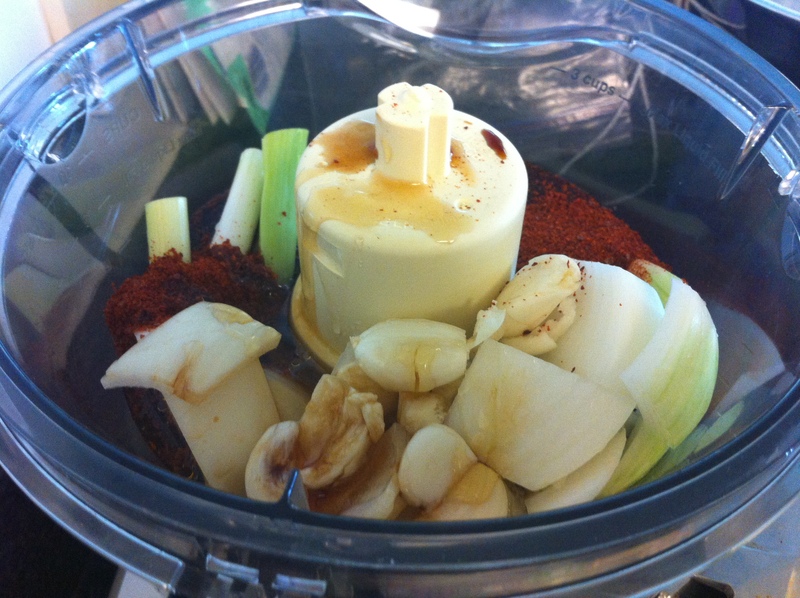 I used a food processor to speed up the dicing process. 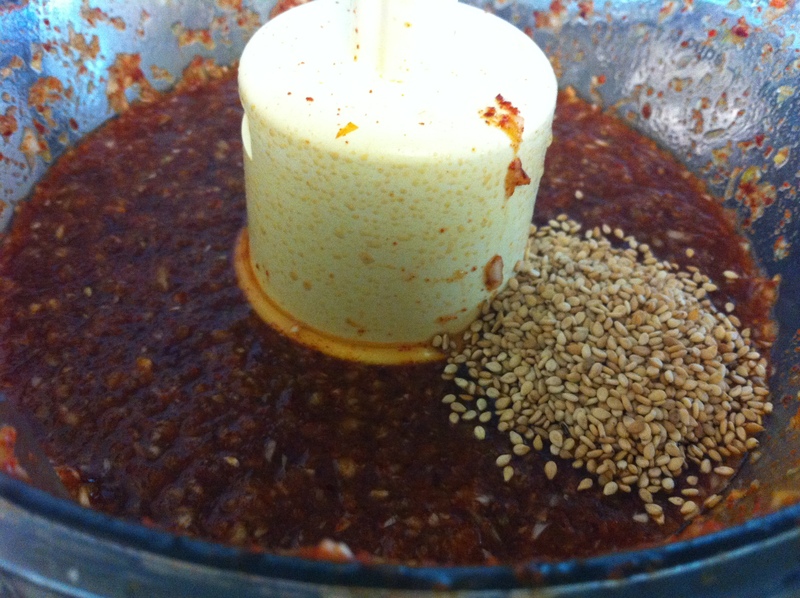 If you use the food processor, run all the ingredients together except the sesame seeds. Add the sesame seeds last after all the ingredients have been combined. 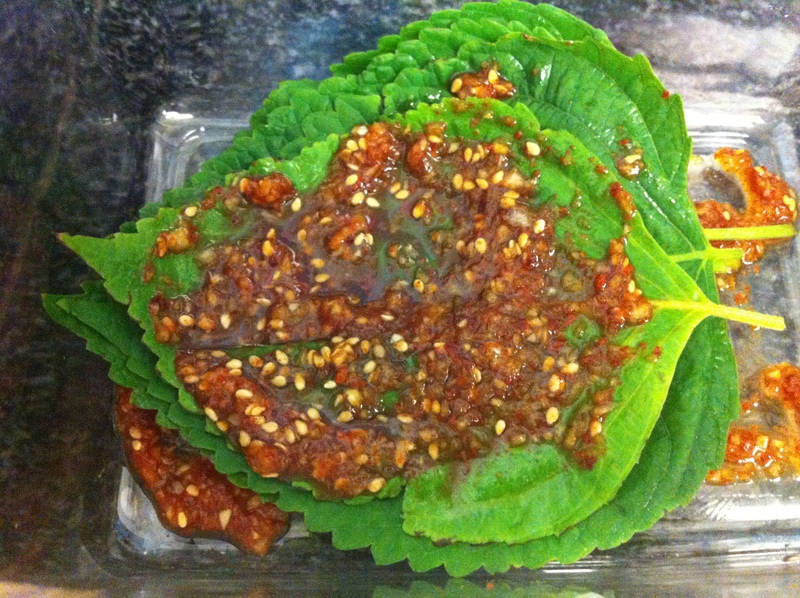 In a container, place 4-5 perilla leaves, spread a spoonful of marinade. 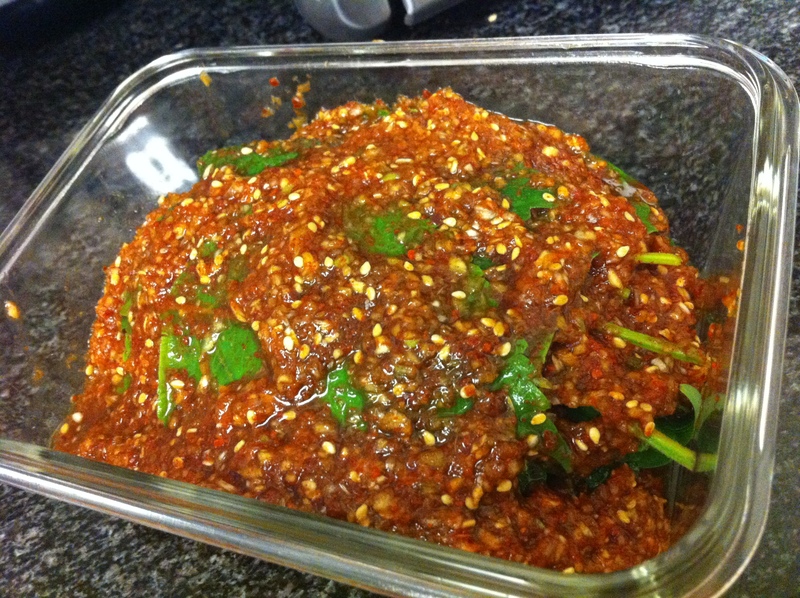 Repeat the process until you use all the perilla leaves and marinade. 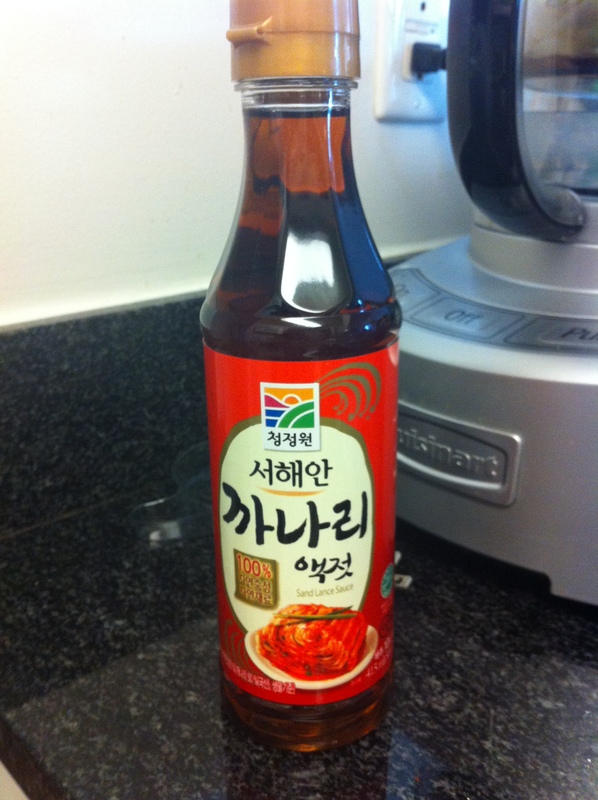 Store the kketyip kimchi in the refrigerator. It should be ready to eat in 2-3 days. You can leave it out in room temperature for about a day then place it in the refrigerator if you want to eat it sooner. 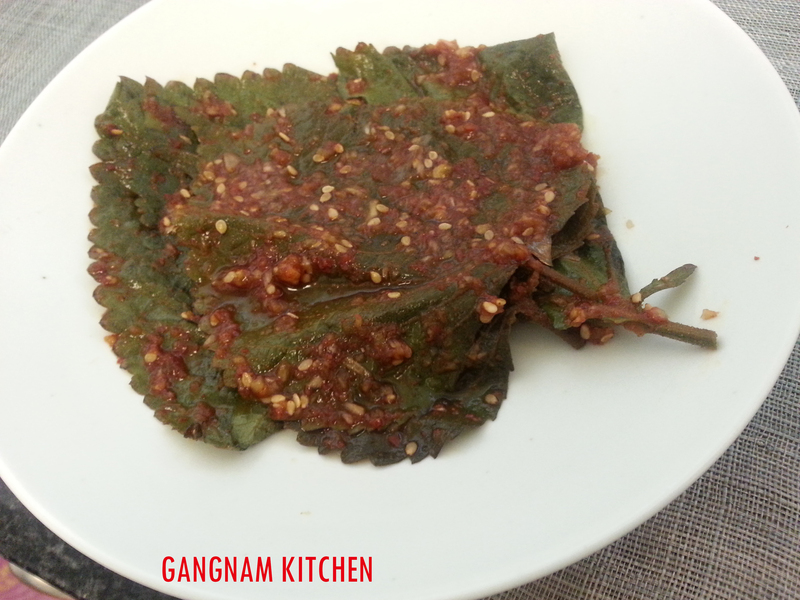 This entry was posted in Banchan (반찬, Side Dish), Vegan/Vegetarian Options and tagged 깻잎, kketyip, perilla by gangnamkitchen. Bookmark the permalink.